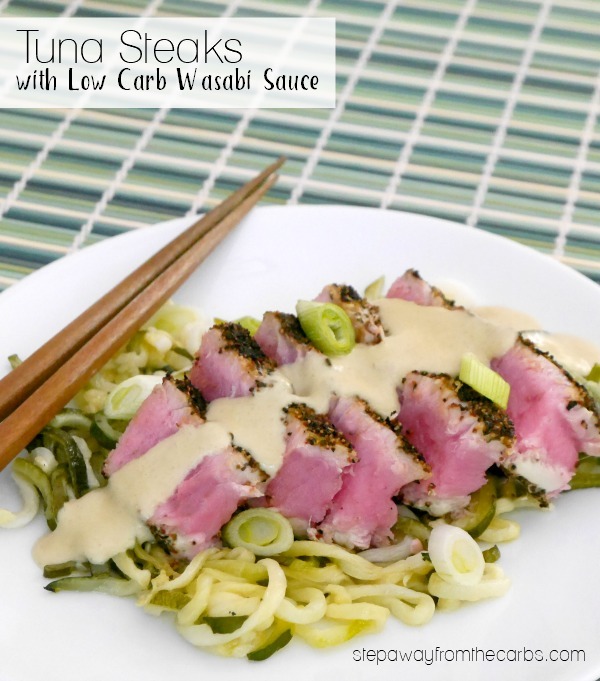 These pepper-crusted tuna steaks are served with a punchy low carb wasabi sauce! I haven’t cooked fresh tuna in well over a year! So I was really excited to come up with a fitting sauce to go with some beautiful tuna steaks that I picked up. And what could go better with a rare tuna steak than some fiery wasabi?!? 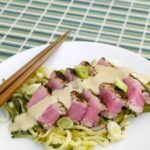 This easy low carb wasabi sauce has plenty of heat and flavor, but it is softened slightly by the cream – a wonderful combination! 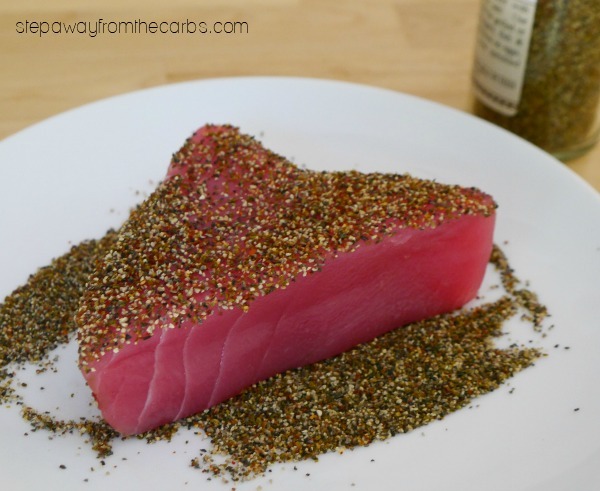 To crust the tuna steaks I used a California seasoned pepper blend, but you could always mix up your own with some ground black pepper, onion powder and garlic powder. Pour out some of the pepper mix onto a plate, and press the tuna steaks into the pepper on both sides. Set aside. To make the sauce, add heavy cream, wasabi paste, soy sauce and a little xanthan gum to a small saucepan. 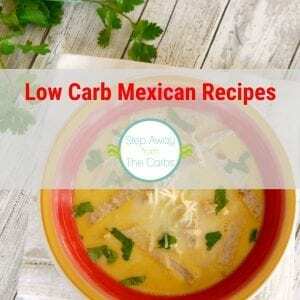 The xanthan gum is optional, but it is a zero carb thickener that is really useful, and makes this sauce even better! With the wasabi, I’d suggest adding a little at a time, then blending and tasting. 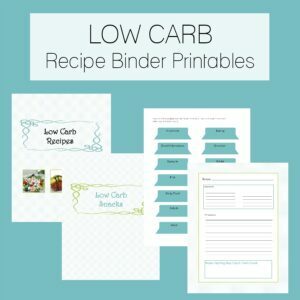 You can always add more! Whisk the ingredients together, then cook on a low heat until it has warmed through and thickened. Heat a hot skillet and fry the steaks. I like mine super rare, so just a couple of minutes on each side. Transfer the tuna to a cutting board and cut them into slices. 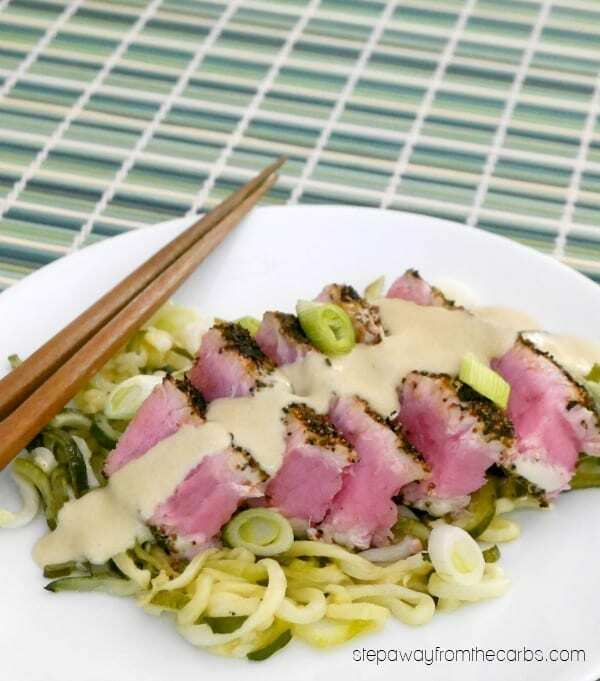 Place the tuna on a serving plate (I served mine with sautéed zoodles), then pour the wasabi sauce over the top. Garnish with a few slices of green onion. To crust the tuna steaks, pour out some of the pepper mix onto a plate, and press the tuna steaks into the pepper on both sides. Set aside. To make the sauce, add the cream, wasabi paste, soy sauce, and xanthan gum to a small saucepan. Whisk the ingredients together, then cook on a low heat until it has warmed through and thickened. Heat a hot skillet and fry the steaks until cooked to your liking. Transfer the tuna to a cutting board and cut them into slices. Place the tuna on a serving plate, then pour the wasabi sauce over the top. Garnish with a few slices of green onion.